American Marine recruits undergo a brutal training camp and then experience harrowing combat in Vietnam. In his penultimate film, director Stanley Kubrick goes to the front lines of war for the first time since Paths Of Glory (1957), with mixed results. 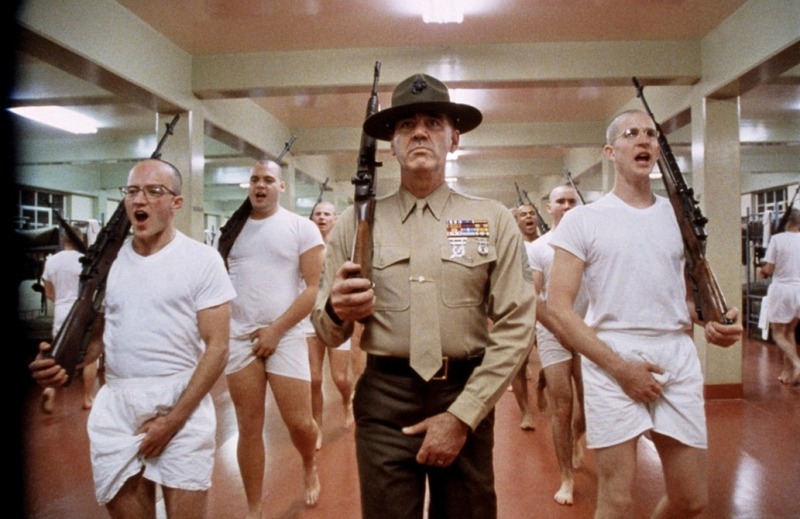 It's 1967, and at the Parris Island, South Carolina military centre, raw recruits hoping to become Marines meet their drill instructor, the strict disciplinarian Sergeant Hartman (R. Lee Ermey). Loud, foul-mouthed, uncompromising, and in-your-face, Hartman begins the arduous process of transforming young men into killing machines. The soldiers include thoughtful leader (and film narrator) James "Joker" Davis (Matthew Modine), the overweight and dim Leonard "Gomer Pyle" Lawrence (Vincent D'Onofrio), and Robert "Cowboy" Evans (Arliss Howard). Despite Joker's attempts to mentor him, Lawrence's incompetence marks him for reprehensible mental and physical abuse from Hartman and, eventually, also from the rest of the men. Lawrence does, however, prove to be an ace shot with a rifle, and begins to earn Hartman's respect. But the damage is done, and Gomer Pyle does not make it out of boot camp. Joker does graduate and is assigned a military journalism role, eventually deployed to Vietnam to write morale boosting tripe for Stars and Stripes. 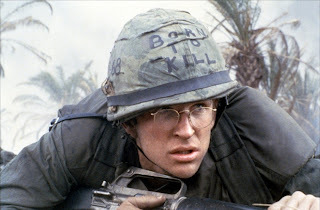 Joker develops anti-war tendencies, participates in repelling the Tet offensive, reconnects with Cowboy, and finds plenty of trouble on patrol with a squad including Sergeant "Animal Mother" (Adam Baldwin), a kill'em all M60 machine gunner. Half of a great movie, Full Metal Jacket enjoys a stunning opening hour before dropping into good but fairly routine war territory for its back end. The film is simply unable to overcome the loss of its two most compelling characters at the end of the boot camp sequence, and hard as Matthew Modine tries to carry the Vietnam-based scenes and embody the conflict between peace activists and hardened soldiers, it is all just too close to average, an unusual place for Kubrick to land. The Vietnam scenes are also somewhat disorienting due to their context. The battles here occur in a concrete, steel, and built-up environment. Kubrick may have been faithful to some elements of the source material from The Short-Timers book by Gustav Hasford, but the outcome is urban street warfare that could occur in any war-torn city; the Vietnam-defining dense, damp insect-infested jungle and rural village frame of reference is missing. And the attempts to introduce conflict between Joker's anti-war tendencies and the field commanders remain benign. Kubrick's fluid cameras do help to elevate the combat sequences above the ordinary, the nimble camera becoming another soldier's eye on the chaos of the battlefield, moving as one with the troops amongst the ruins and fires, dodging deadly sniper shots. But the opening hour of Full Metal Jacket is a monumental achievement built around R. Lee Ermey's performance as Gunnery Sergeant Hartman. A retired Marine drill sergeant, Ermey's undoubted, if exaggerated, authenticity creates a bravura achievement. Ad libbing great chunks of profanity-propelled dialogue to humiliate, embarrass and tear-down men who need to be reconstructed into killers, Ermey's Hartman is a frightful creation of military culture, and an unforgettable screen presence. Every drill sergeant needs a floundering recruit to bring out the best in both, and Vincent D'Onofrio gained 32 kilograms to give Hartman everything he can handle in Leonard Lawrence. D'Onofrio captures the overweight, uncoordinated dullard who cannot do anything right, until he stumbles on target shooting as a latent talent. Hartman does his job well in turning even Lawrence into a killer, although once aware of his abilities, Lawrence spirals into another domain altogether. 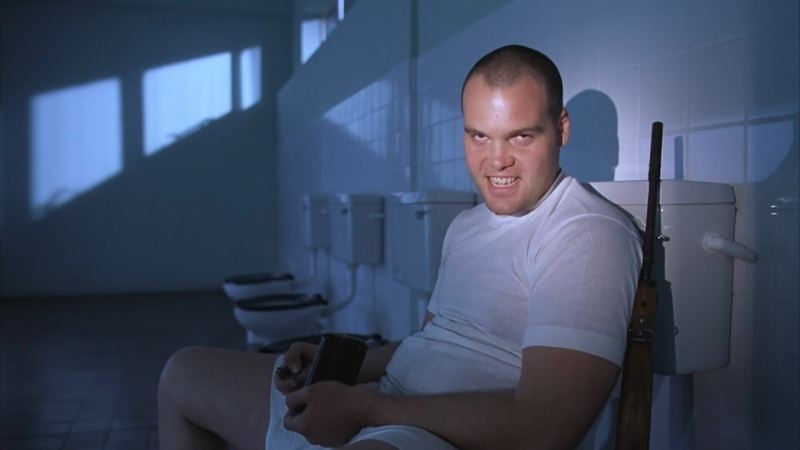 Full Metal Jacket finds victims of war everywhere, none more memorable than Gomer Pyle, on the toilet seat, stumbling onto his courage and the end of his rope at the same instant. All Ace Black Movie Movie Reviews are here.